Keep your thermal printheads clean! 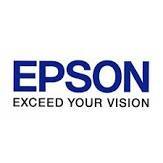 Both in Barcode Printers and Automatic Printer Applicators, the primary cause of printhead failure is a development of a residue build up of label dust glue and debris from the Thermal Printing Process. The build up of this residue prevents the Thermal Printhead from transferring heat to the Label or Thermal Ribbon and causes hotspots to develop thereby reducing Print Quality and shortening Printhead Life. We at Weber want to ensure you maximise the lifetime of your Printhead and ensure you maintain the maximum Print Quality afforded to you by choosing Weber Labelling Systems. 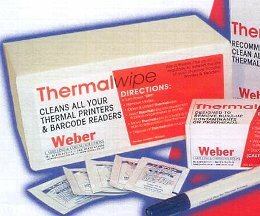 Weber Packaging Solutions provide a number of Printhead Cleaning Options to ensure you maintain your Print System ranging from Cleaning Pens, Cleaning Wipes and a complete Cleaning Kit with detailed instructions on maintaining your Labelling System.